Multi-purpose checks mean mutli-tasking. Plus - you'll be getting even more onlien shopping done in one shot when you choose this affordable package deal. 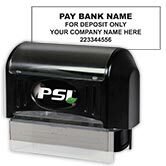 Get everything you need - including a check that can be used to pay employees as well as you company's bills. There are invoice boxes conveniently located in the upper left corner as well as a detachable stub for employees that details hours and deductions. This is also a complete check writing system. You'll get 200 booked deposit slips, a convenient 7-ring check binder with an organizer insert and a personalized pre-inked Endorsement Stamp. 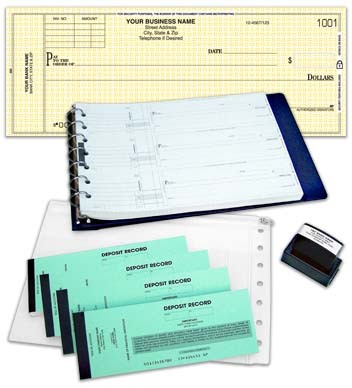 Start taking care of business and order your own Multi Purpose Invoice Check Kit today!